A summer working at Camp Hi-Rock can be life-changing. See what some former staff members have to say about their Hi-Rock experience. Katie Cotterill – Camp is part of who I am. It has made me who I am. Before I travelled to camp for the first time (back in 2007) I wouldn’t have caught the train to the next town on my own. In 2009, I thought nothing of re-locating to Hong Kong, with a friend I met at camp! When my ‘real life’ presents challenges that seem insurmountable, I can draw on a little ‘camp spirit’ to see them through. 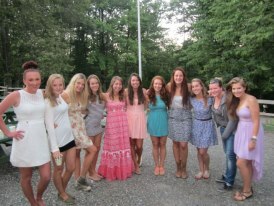 There is no time in my life that I look back on with such fondness as my time at Camp Hi Rock. It has given me; the urge to sing (occasionally in tune) to summer songs in public places, the desire to dance like a little girl, life-long friendships that mean you always have someone to call on and an interesting place to visit, shooting stars, fire flies and memories of candles on dark nights. Camp gives both the campers and the staff the confidence to take risks and believe in themselves. The fears and the first-times that we face together – whether it’s an eight year old staying away from home for the first time or an eighteen year old becoming a role model for the first time – that stay with us forever and shape the kinds of people we become. Nowadays, I teach in a primary school. Sometimes I see myself, urging my class to write more, sit still and work more quietly and I wish that I could be a camp counselor to them instead of a teacher. Teach them the skills that can only be learnt through experience; team work on the low ropes course, courage at the climbing wall or perseverance on a hike. Most of all, I wish I could take them to a place where everyone is valued for who they are, encouraged to do their best and where having fun, is an end in itself. Chris Baldwin – A place where you can be yourself; a truely magical, wonderful, special place. A place where new friends can be made and old friends become re-united. A place that I call home. Shea Watson – Every time I drive up the camp road I get an overwhelming feeling of excitement. This is due to the fact that camp really is a home-away-from-home. Being a Hi-Rocker means being bonded to amazing people all over the world, and right here in Mt. Washington. The people you meet through camp become your family, whether you spend 1 year with them, or 15 years. There is no greater connection than befriending, working, and living with people from all over the world, while living on this beautiful little lake. Camp is a part of you, no matter where you go. Sending me to Hi-Rock was the greatest gift my parents ever gave me, and returning as staff was one of the best decisions I ever made. 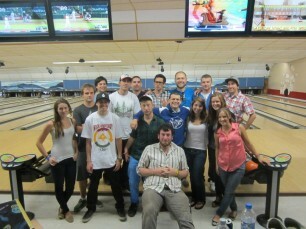 My four years as staff at Hi-Rock were the best four summers of my life and I wouldn’t trade them for anything. Alexis Kycia – Camp is really an extension of my family. The friendships I’ve created here are still going strong today with people from all over the globe that I never would have otherwise met. It’s a summer vacation that lasts a two to eight weeks but the experience lasts a lifetime. It’s an environment that allows you to find yourself and encourages personal growth. It has been a fabulous learning experience and has enriched my life greatly. Brooke Mars – For me, camp is a place where I met some of the most amazing people over the past four years – people that I love and will remember and stay in touch with for years to come. It’s a place where I get to embrace and share my love for all things baked for nine whole weeks. It’s getting campers excited for evening program. It’s a place where my cat can roam freely and lounge in the sunshine. Camp (specifically Hi-Rock!) is something I feel every child should experience. I can honestly say that Hi-Rock really is my home away from home and I wouldn’t trade the times I’ve had there for anything in the world.